You can choose from several options for earning interest on your account value: one fixed interest option and additional options tied to market indexes. All the options have a guaranteed minimum rate. You will enjoy tax benefits such as tax-deferred growth potential on your account, insurance benefits, which are, generally speaking, not subject to income tax, and some tax-advantaged access to your surrender value. Good liquidity after year one. You may withdraw, without any charge, any amounts in your account value that exceed the annual target premiums. Other withdrawals may be subject to surrender charges. You may borrow money - any number of loans may be taken from a positive surrender value. 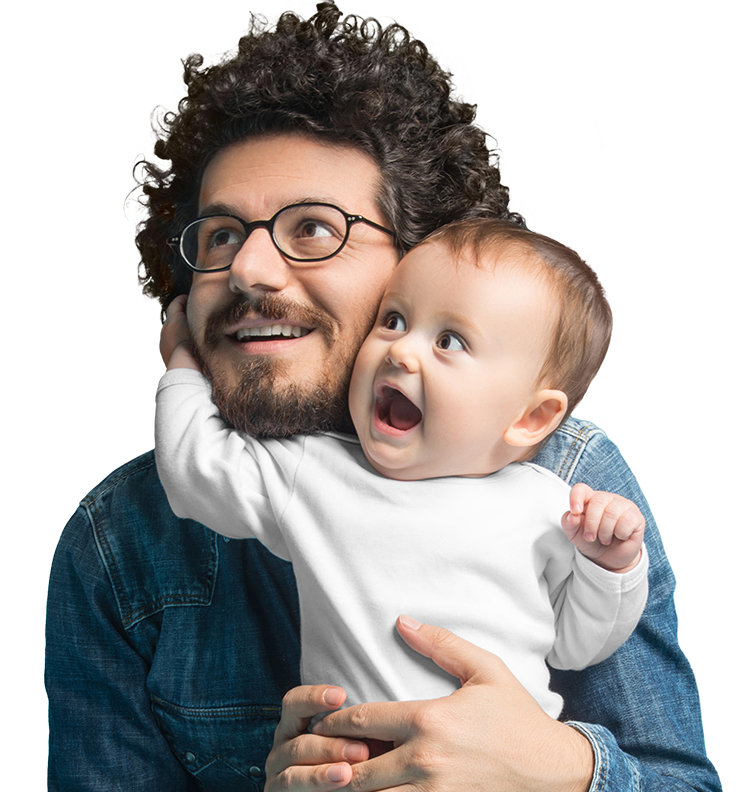 You may customize your life insurance policy with optional benefits, such as accelerated benefits for critical or terminal illness. You have a choice of death benefit options - the face amount of your policy, or the face amount plus your account value. Death benefits may be taken as a lump sum or periodic payments. You may adjust the death benefits. Loyalty is rewarded with a Persistency Bonus in policy years 11 on. Subject to state availability. Certain restrictions may apply. Contracts issued by Fidelity & Guaranty Life Insurance Company, Des Moines, IA. Fidelity & Guaranty Life Insurance Company offers a diverse portfolio of life insurance policies. Before purchasing, consider your financial situation and alternatives available to you. Your Fidelity & Guaranty Life Insurance Company financial professional can help you determine the best alternatives for your goals and needs. Optional provisions and riders may have limitations, restrictions and additional charges. The "S&P 500 Index" is a product of S&P Dow Jones Indices LLC, a division of S&P Global, or its affiliates (“SPDJI”) and has been licensed for use by Fidelity & Guaranty Life Insurance Company. Standard & Poor’s® and S&P® are registered trademarks of Standard & Poor’s Financial Services LLC, a division of S&P Global (“S&P”); Dow Jones® is a registered trademark of Dow Jones Trademark Holdings LLC (“Dow Jones”). These trademarks have been licensed for use by SPDJI and sublicensed for certain purposes by Fidelity & Guaranty Life Insurance Company. This life insurance product is not sponsored, endorsed, sold or promoted by SPDJI, Dow Jones, S&P, their respective affiliates, and none of such parties make any representation regarding the advisability of investing in such product(s) nor do they have any liability for any errors, omissions, or interruptions of the S&P 500 Index. 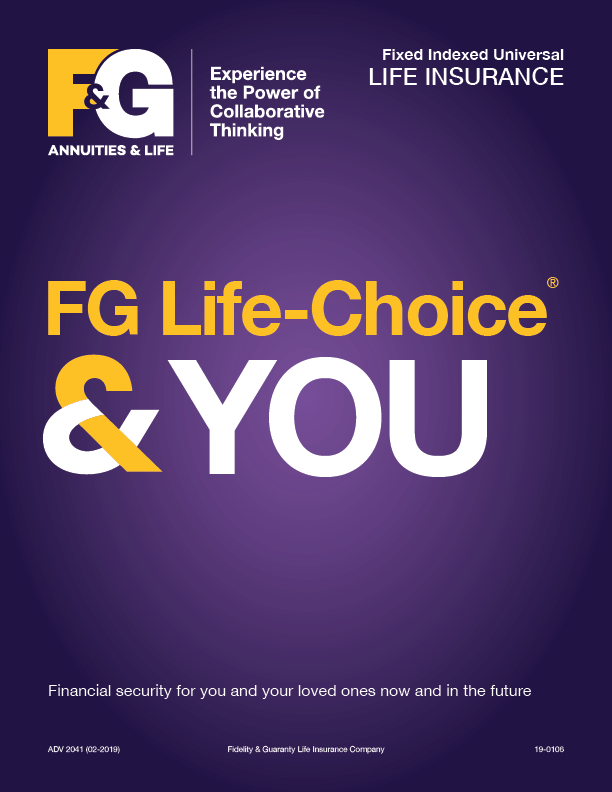 Download our product brochures to learn more about FG Life-Choice.